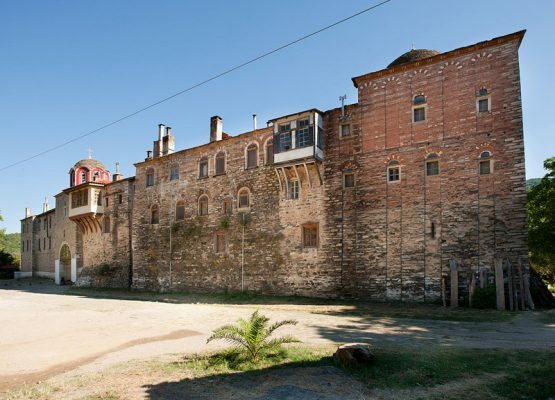 It was built in 963 by St. Athanasius the Athonite, with the financial support of the emperors Nikephorus Phocas and Ioannis Tzimiskes. During the ten centuries of its existence, the monastery has always held the first place among the other monasteries of the Holy Mountain, partly because of its wealth, partly because of the heirlooms stored there (manuscripts, historic documents, chysobulls, portable icons etc). 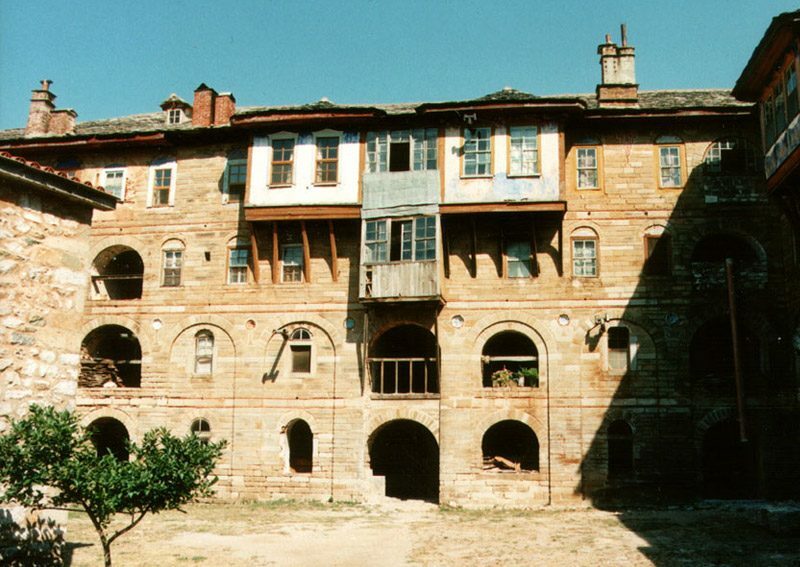 Monumental structure of the monastery is particularly noticed in its large buildings. The central church (Katholicon) with the two large chapels of the forty Martyrs and of St. Nicholas, occupies the center of the monastery. Within the enclosure, there is also the refectory, the kitchen, the library etc. In the four aisles, which surround the monastery, are the monks cells, the guest-house, chapels and others. The monastery is inhabited by 50 monks whose daily occupations are divided among their monastic duties (mass,prayers etc.) and the hospitality to the many visitors from all the world. The monastery remains open throughout the year from sunrise until sunset. 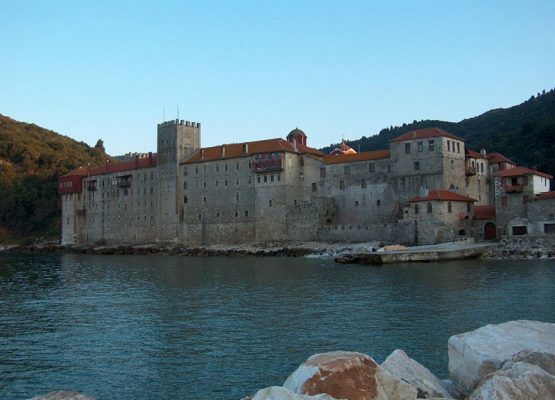 During the winter months, it is extremely difficult to reach the monastery. 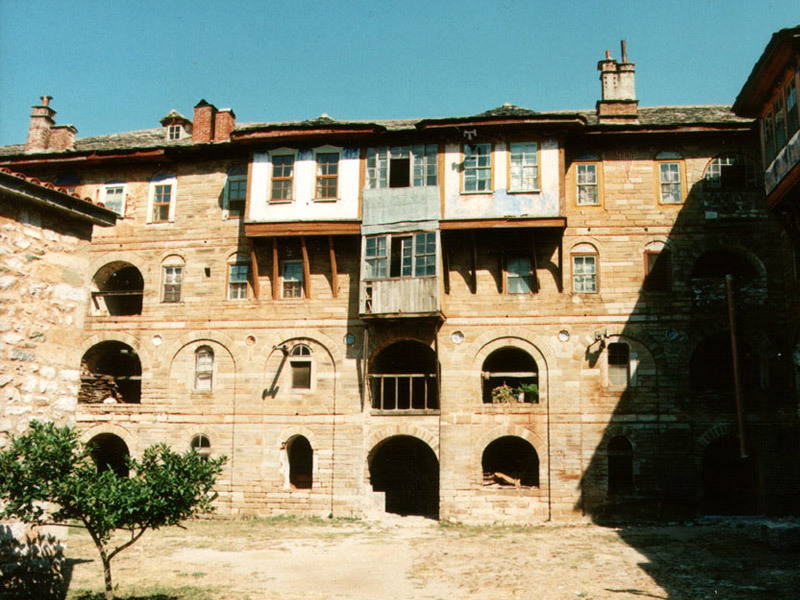 The visitors who wish to study or take photographs of the monastery΄s works of art, must first contact the 10th Ephorate of Byzantine Antiquities as well as the monastery itself. 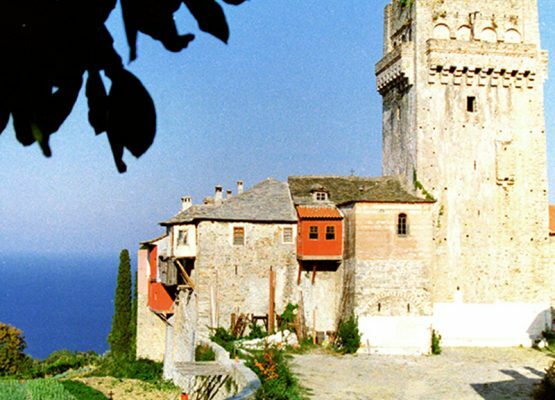 The monastery is inhabited be a large number of energetic monks who follow strictly the Athonite monastic tradition.